Peruvian driver Nicolás Fuchs finished SS05 of the 2018 Dakar Rally on a hard journey between San Juan de Marcona and Arequipa on the penultimate day of competitions in the Peruvian territory. Aboard his Borgward BX7DKR prototype, Fuchs and his Argentinian navigator Fernando Mussano finished the day in 13th place with a time of 03:41:08, 49:49 minutes away from the winner of the stage and leader of the general classification, Stéphane Peterhansel. This brings him up to the 13th position overall with 17:52:28 hours. 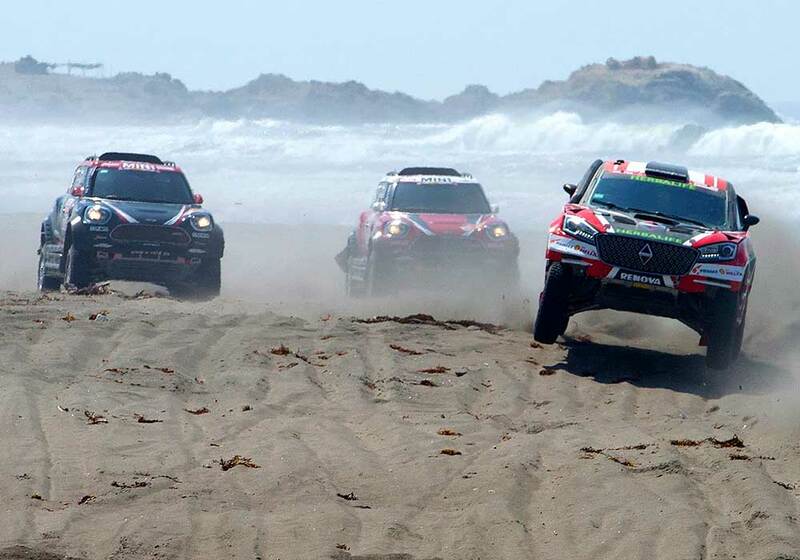 "It was a difficult and very long stage with many dunes, but finally we are in Arequipa ready to continue fighting in this Dakar," said the Peruvian pilot at the end of the route. In SS04 he was placed in the 15th position. "The important thing is that we finish after repairing the suspension during the fourth stage," Fuchs reported an evening before. The second Borgward of Dutch team-manager Erik Wevers again had problems. They came back in the camp in the morning but could start again in the stage. Finally they reached Arequipa as 43rd with 06:58:16 hours which brings them overall to 52nd with 79:37:31 - including massive penalty of 39:01:30 hours. One thing is for sure: For Wevers this Dakar will stay always in his mind, rolling the car in the beginning, staying in the dunes in the night - but still competing!